Hi my name is Jeanie and I have been connected to the spiritual world since I was a young child, always feeling there was something MORE to life and our existence, as we know it. Being a very visual and empathetic person since that time, I have often felt guided and protected. My psychic abilities and awareness were enhanced when my son’s father died at the age of 26, leaving me a young widow at 23. From that traumatic event came much understanding and insight and the ability to carry on and move forward, after asking for and receiving angelic help and guidance to deal with overwhelming feelings of grief. I am now in a long-term happy partnership and have a beautiful son who now has his own family of which I am very much a part. He supports and encourages me in my work. My ability to communicate telepathically with his unborn child, who is now a member of my family, has broadened my knowledge as to the possibility of this wonderful event. We choose to follow our hearts and live a happy, healthy and positive life and you can too! Laughter and fun are VERY high on our agenda of life! With a love of nature and animals and the ability to tune into their energy, I give respect and truth to all beings living and deceased. I have worked in the health industry extensively involved in drug and alcohol addiction related problems, adversity and rehabilitation. This along with my studies in Psychology, Counselling and Music has inspired and lead me to share my gift, vision and compassion with others. With a deep interest in people and understanding what makes them tick, I have a holistic, metaphysical and spiritual approach to life; firmly believing what we “think about, we can bring about” and that all changes in our lives need to be, firstly, made from within ourselves, our outer reality then follows suit. Likening myself to a radio, clearly tuning in and picking up signals, strong feelings and visions, which give me a spontaneous perception leading to learning, reasoning and the ability to help others in my role as a light worker. We are manifesting something into our reality, every second of our lives. I have a great belief that it’s best if “creating” is made as positive as we can possibly make it and in tune with the things we desire and want to achieve in our lives! My strong belief is that nothing is really “set in stone”. We have the ability to grow and change as spiritual beings, having the human experience of our lives on earth and always operating from our own free will. For many years I have been working with clients guiding them to make their own best decisions. I love motivating people, helping them achieve their destiny and I would like to do this for you, if you’ll give me the chance. Keeping it REAL is important to me. I love to be able to give good news, but can’t just tell people what they want to hear. If I’m not feeling it, or seeing it for you, I will not go against my principles and tell you something I don’t believe to be true, even if that untruth is more comforting at the time. That would be more detrimental in the long run to your happiness. Truth is always best! If you would like a reading with me please use my ID No. 02914. Jeanie is rated 5.2/6 from a total of 12 Rated Reviews. Excellent and reassuring thanks so much Jeanie. Lovely to talk to and you told me things that have helped me in my future plans for when I move interstate. I would highly recommend you, thanks. I found Jeanie to be a warm and compassionate person. She was spot on with what I was going through and was able to tune in quite quickly and accurately. Thank you so much. I phoned about job change and the usual where is my soul partner type thing… and got quite specific information about things that were actually going on and how I should be dealing with it. Very supportive reading. Thank you. It was really wonderful speaking with you Eileen, and I am so pleased I was able to help you. Thank you for helping me feel more grounded towards the future. What a rude woman. Don't waste your time or money. Hi Michelle. I am so sorry that you felt I came across as rude. I pride myself in reading as respectfully and as kindly as possible with only the highest intentions for my clients. Sorry not impressed. It was all her own opinion. And did not verify any facts or pick anything up. Anyone could have done this reading. Hi K. Wish you had told me of your dissatisfaction at the time of the reading. I would have been more than happy to recommend you end the call and get in touch with our Customer Service team. I loved Jeanie's reading. She is a thoughtful, sensitive and insightful reader. I would recommend her to anyone looking for proof of the spirit world. Such a joy reading for you Hope. Thanks for the opportunity. Hi! Jeanie is the most consistently accurate psychic I have used. Wisdom in presenting advice and information. I thoroughly enjoyed reading for you David. Channelling you lots of love and light! Jeanie is absolutely brilliant. I was very happy with my reading and will definitely be speaking to her in the future. Awesome reading. A Plus - would always seek Jeanie out for guidance if I needed it. 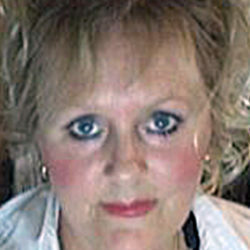 Jeanie is a fabulous psychic, always accurate and lovely to talk to. 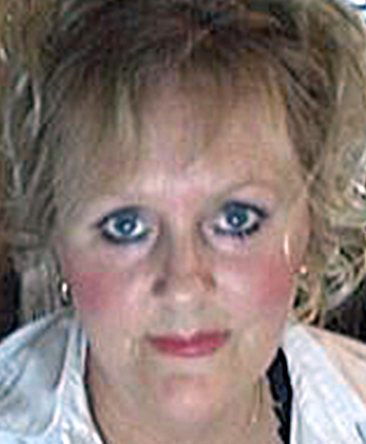 Jeanie is absolutely brilliant and very much tapped in to the psychic realms. Very accurate. I was very very happy with my reading..and have gone back quite a few times for more.